Pat has a rich background of experience working with senior teams in large national and international organisations. She is a Marshall Goldsmith Stakeholder Centred Coach and is trainer trained in NLP. Together with her experience with Harrison Talent Solutions, to which she is trained to expert level she helps individuals, teams and organisations to achieve exceptional results. With a strong focus on talent development she has been instrumental in establishing the UK’s leading distributorship for Harrison Assessment and in building a team of highly talented HATS consultants. Pat has also published several books on NLP most notably The Brilliant NLP Series, published by Pearson Education. Pat has also written a number of published articles. 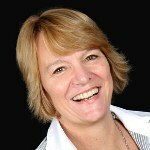 I have known Pat for a few years now, as both an NLP delegate on several courses and a client. Pat is a highly experienced and engaging trainer and coach and brings tremendous value. I would have no hesitation in working with Pat again and recommending her to any business or individual. If you would like to contact Pat to explore the business benefits Harrison Assessments can offer you and your organisation, complete this form and we will arrange for her to contact you.